"You'll be his first kiss, his first love, his first friend, you are his momma and he is your whole world. He is your little boy"
Phew...it feels JUST as good as I thought it would, if not more, to finally be able to share the news! I have a SON!! Our sweet little boy's name is Camden James. James is my Dad's middle name and we really wanted to name our son after him in some way. My Dad not only raised me as a single parent after my Mom passed away, but he has been the biggest support system for me my entire life and we look up to him in so many ways. He has always supported our relationship and is one of the best men I know. Camden was actually one of the only boy names that both Billy and I truly loved from the beginning. I wanted a name that you don't hear everyday, is strong, and has the option for a good nickname. Me and Billy have been calling him baby Cam lately and we love it. We could even call him C.J for short if we wanted, but we're still deciding our thoughts about that. ha. Last night was so special. After our 18 week appointment (more on that tomorrow), we went to my parents house for a little celebration + dinner with 15 of our closest friends. It was so fun to be able to tell them the name and gender all together. Every person that was there has shaped my life one way or another and I'm so thankful for how supportive they have been. It's crazy how much more real it is now that we can call him by his name. I find myself day dreaming about what he looks like (mini Billy please! ), what his personality will be like, and playing sports in the backyard as a family. I'm so excited to be a boy mommy! I have to say that my favorite part during this journey (have I said that a lot? I feel like I have) are the words Billy spoke to me after finding out a few weeks ago that we were having a boy. He told me, "God and your Mom gave us a boy so that now you have two boys to love you unconditionally and to protect you forever." Mark that down as the first of many tears that will be shed now that we know it's a boy. Billy, I love you so much for that comment and basically for everything else and just being you. I hope our son is just like you! Tomorrow on my bump date I will share more about finding out early via 3D ultrasound and our amazing experience at Ultrasona! And also, whoever says there isn't any cute clothes for baby boys is wrong. I have found some of the cah-utest baby boy clothes and am loving every single second of it. Just sayin'. Congratulations!!! Such a great name! Congratulations! Being a boy mama is the absolute best. Boys love their mamas something fierce. Get ready for him to melt your heart every single day!!! I had a feeling that you were going to have a boy! I love the name! Congratulations again!! Aw so exciting!! Love the name and so excited for you guys! And that has to be the sweetest thing ever that your hubby said, I would totally be crying after that! Congratulations!!! 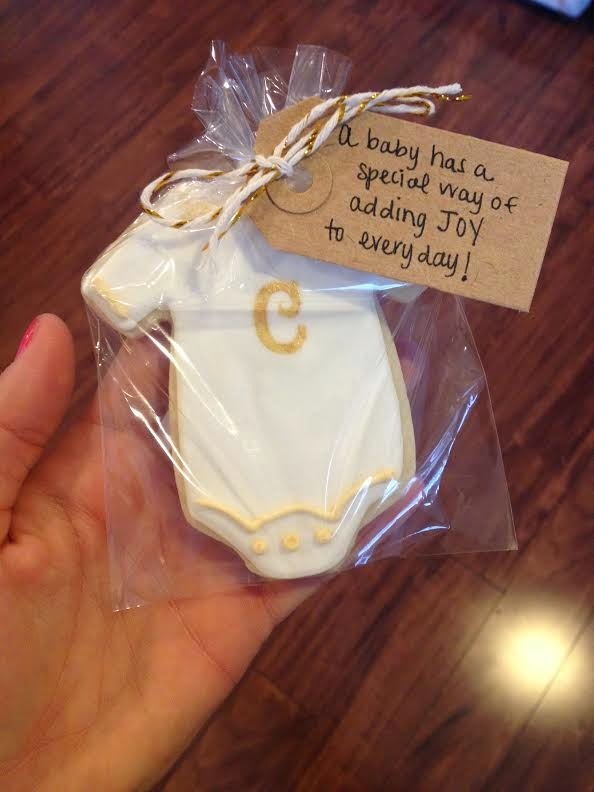 You are going to be such a wonderful mama to your little man!! Tears are forming after what Billy said to you - such a sweet man you have!! Oh my gosh, boys are the BEST (coming from this momma who wanted a girl!). 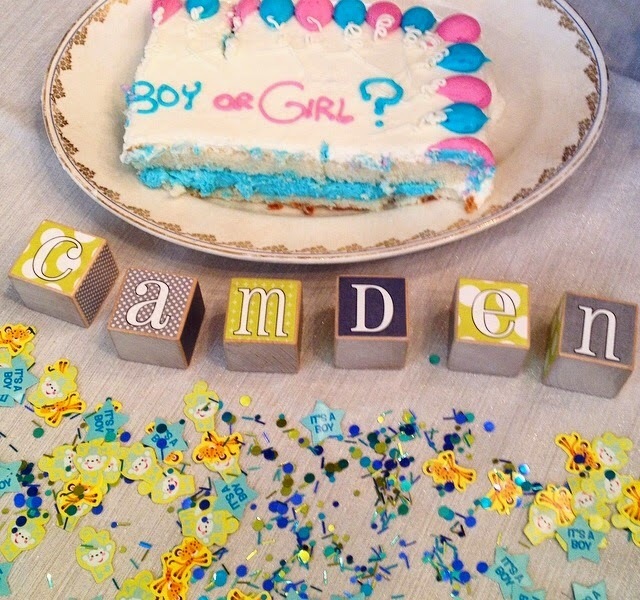 I love the name Camden - it was one of our favorites, too. :-) Excited for you! Congratulations! Boys are so fun. I have one of each and I have more fun shopping for him! Have you tried H & M? Gap, Zara Baby, J.Crew and H&M are our favorite stores for our little guy. Good luck on the rest of your pregnancy! Yay!!! I'm so excited for you! Being a boy mama has been the most amazing gift! You are going to LOVE it! Congratulations!! I love his name! Very strong and very masculine! And the little nickname of Cam is too cute! And the comment your hubs made.. cue the tears. So sweet and definitely so true! OMG!!! I love it!! yayayy! so excited for y'all! and i love the name! Congratulations!!! Billy's words about your two boys were so sweet!!! So very sweet!!! 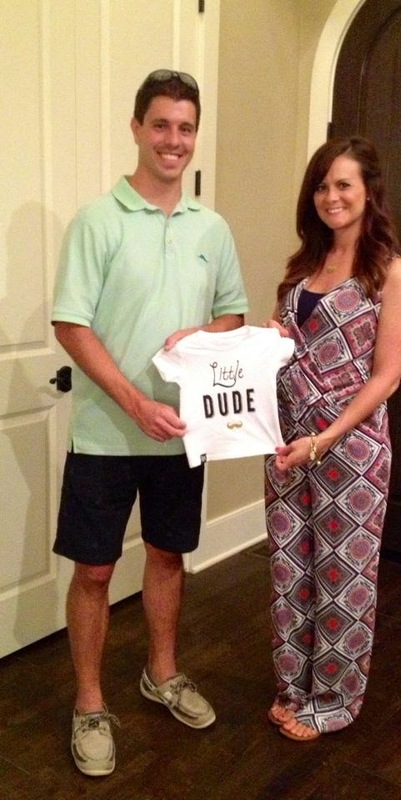 Congrats on your little man!!! Love his adorable name!! Congratulations! A little boy, just so sweet! Yay! Love his name. Boys are so much fun...I never imagined myself playing with trucks and tractors and having a dirty little boy but it really is a blast! :) Congratulations! Boys rock, I wanted a boy from day one! And our little human Kai is just amazing, boys love their mommas with a love that no one could ever, ever duplicate. You can dress a boy child as fun as a girl. Your hubster is a keeper, I totally had a little tear rolling down my cheek after reading his comment. Yay!! I knew it!! Honestly, I have had the most fun shopping for boy stuff! Congrats!!! Just had my first little boy 5 weeks ago. It is amazing and you'll love every second of it! Congrats! Sooo happy for you guys! What a sweet husband you have, definitely teared up at that comment. Yay! I have no doubt he will be the best dressed boy on the block! Congrats on the baby boy!! Y'all are going to be the cutest parents! Little boys are the sweetest! Congrats!! Congratulations on the baby boy! Love the name Camden; it's one of my faves. He'll be such a loved little guy. So incredibly exciting!! Love his name too! So sweet!! & I agree... they do have a ton of cute boy clothes!! Either way I'll be in trouble!! So exciting!! 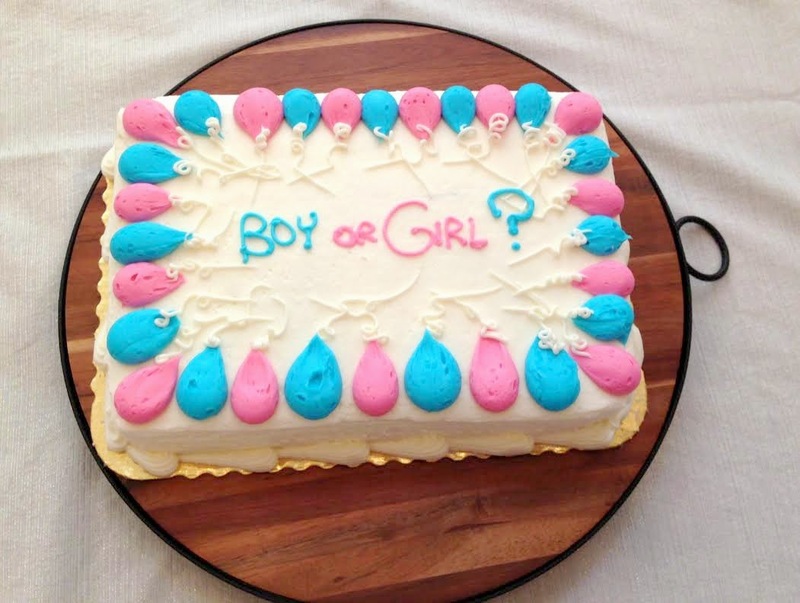 Finding out the gender definitely makes things a lot more real! I am about a month ahead of you in my pregnancy, we are having a little girl but if we had a boy his name would have been Camden Ray! Such a cute name! Can't wait to follow along with you during the rest of your journey!! Congratulations!!!! And I'm with you - baby boy clothes are so cute! :) No doubt he will be the best dressed little man around with you as his mama! Yay! Congrats! Go Team Blue! Congratulations to both of you! Camden is such as great name! I might have to steal that for my own son ...when the time comes ;) So excited for you both! Congrats! I love the name :) I totally teared up reading those sweet words Billy said to you. Camden has some amazing parents!